I always thought she had the expressive eyes and talent to expand on her acting and the movies The Hunted and Ninja Apocalypse I saw a sonic blast of her ability to really shine-- Fast forward it is 2018 boom!!! Director Jared Bentley who also co-wrote the script gives Tara the opportunity to really break out and lead a movie. Special thanks to the producers and director of this film for the chance to review very early. Tara plays Alex a lady who lost her father, and opens with her sparring, so we see early on she is no ordinary lady but she wants to lead a normal life so she goes and becomes a live in nurse to a wealthy lady. Let us just say things absolutely do not go as planned because the lady's grandson shows up and well is kind of after her cash but kid of cares about her. Kevin Sizemore plays a tormentor who really lays on the aggression as Seth, who is of course after the money. Not gonna spoil this but the action is really well thought out. Great fights clever moves and a fun interactive story. 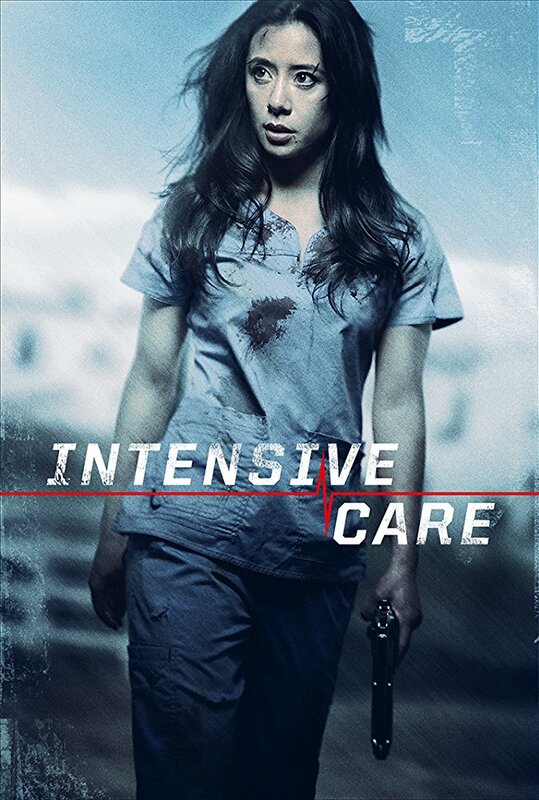 'Intensive Care' surprised me, at a quick 80 minutes it gets to the point and never strays. There are quick turns and enough entertaining material to warrant a repeat watch. Tara has the characteristic of a fun lady, sarcastic and spontaneous and after meeting her, 'Intensive Care' seems to capture that with razor precision. This is a violent film, but I mean the violence is definitely part of the story and never detracts from the flow. Of course this film is very low budget, and rating it against other lower budget films is my thing. Everyone involved worked hard, seems like much was trimmed out, to tighten things up. Score was tense enough but never obtrusive.